News with the passing of NWA/DL Captain Thomas L. Perillo has been received. Captain Perillo had just reached his 59th birthday this month. He joined Northwest Airlines 09-06-1983 and was currently a Captain with Delta Air Lines. Captain Perillo’s caringbridge journal notes that he had been fighting Lyme Disease these past two years, symptoms worsened and in May he was diagnosed with late-stage ALS. Services will be held in Hudson WI June 30th and July 1st....please see information below. 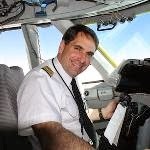 Thomas L. Perillo, age 59, of Hudson, WI, Captain at Delta Airlines, passed away June 26, 2014 surrounded by his wife Diane; and sons Anthony, Michael and John. Visitation from 3-8 PM, with an 8 PM Prayer Service, Monday, June 30 at St. Patrick Catholic Church, 1500 Vine St., Hudson, WI, and 1 hour prior to Mass on Tuesday. Mass of Christian Burial will be at 11 AM Tuesday, July 1 at St. Patrick Catholic Church. Interment will take place at St. Patrick Catholic Cemetery. In lieu of flowers, memorials are preferred to the Carmelite Monastery of Hudson. From: RNPA News Sent: Friday, June 27, 2014 6:45 AM Subject: RNPA News: Tom Perillo Has Flown West. Found on Tom Perillo’s CaringBridge site. As some of you may have heard by now, my dad passed away in his sleep early this morning. As you can imagine, we already miss him dearly and his passing was a tremendous loss for our entire family. Thank you again for your love, kind words, and prayers. This site was a wonderful source of support for my dad and my family when we desperately needed it over the past month. Words cannot describe how much all of you mean to us. Visitation will take place on Monday, June 30, from 3:00 PM to 8:00 PM, with a prayer service at 8:00. The funeral mass will be at 11:00 AM on Tuesday, July 1, with a 1-hour visitation prior to the service. His burial and a luncheon will follow the mass. The visitation, funeral mass, and luncheon will be held at St. Patrick Catholic Church, located at 1500 Vine Street, Hudson, WI 54016. There is a brief obituary in the St. Paul Pioneer Press, which can be found on their website and will be published in both tomorrow's paper and the Sunday paper. A more detailed obituary will be published in the Hudson Star Observer either this coming week or the following week. 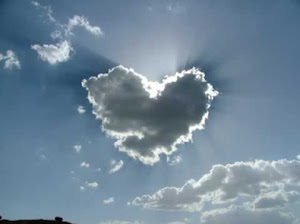 The obituary and funeral arrangement details can be found at http://www.oconnellfuneralhomes.com/.